JOHN C. CALLAGHAN, M.D. ; DONALD A. McQUEEN, M.D. ; JOHN W. SCOTT, M.D. ; et al W. G. BIGELOW, M.D. 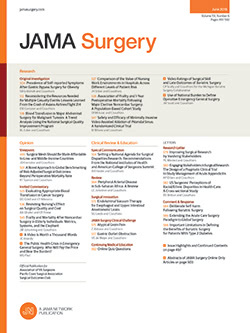 SINCE hypothermia was first suggested as a technique which would permit intracardiac surgery under direct vision,* the possibility of a deleterious effect of the low body temperatures upon the brain has been considered. It has been observed that animals † and humans ‡ enter a narcotic state when the rectal temperatures fall below 30 C. Although no gross cerebral damage has been noted from simple cooling in dogs, it was considered expedient to study the cerebral effects of cooling more carefully and to search for any evidence of permanent injury to the central nervous system. Monkeys, being the highest order of animals available, were chosen for this study. Survival rate, electroencephalographic changes, behavior test performance, reflexes, and changes in cardiovascular and respiratory control were selected as factors in the assessment of cerebral function.